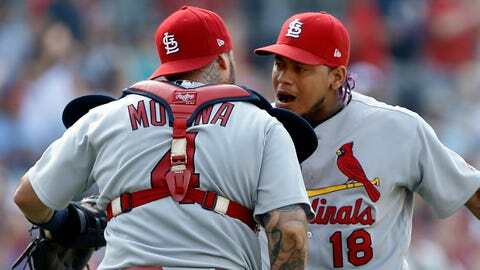 The Cardinals would like to see Carlos Martinez celebrating with Yadier Molina at the end of Friday's series opener in Chicago. CHICAGO — If the Chicago Cubs expect to secure another National League Central title, they are going to have to earn it. Lester doesn’t sound too worried. In Lackey’s latest start, on Sept. 8 against Milwaukee, he allowed a two-run, first-inning home run and then no more runs in his seven-inning outing. He gave up four hits and two walks while striking out nine. Chicago is 9-2 in Lackey’s last 11 starts. He is 6-2 with a 3.67 ERA in 10 starts since the All-Star break. Martinez has six quality starts in his past seven outings. On Sept. 4, he threw a three-hit shutout at San Diego, and he followed up by allowing two runs in six innings in a no-decision against the Pittsburgh Pirates on Saturday. “He’s thrown, in my opinion, way better than his record shows,” manager Mike Matheny said recently. “I think he’s taken that next step as the pitcher we talked about this spring and the pitcher we expected him to be, the pitcher we gave our Opening Day start to. 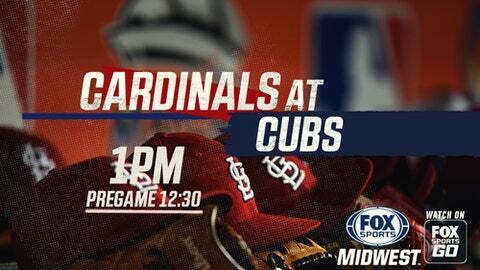 The Cubs hold an 8-4 lead in the season series vs. the Cardinals, including a 5-1 mark at Wrigley Field. The teams have seven meetings in the next 13 games, including four games in St. Louis from Sept. 25-28.